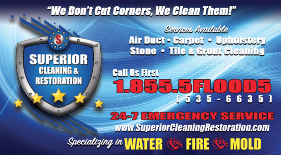 Water Damage + Mold Removal + Carpet Cleaning | Superior Cleaning & Restoration, Inc. 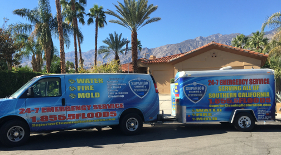 Cleaning and restoration services in Southern California with regional offices in Los Angeles County, Orange County, San Diego County, Riverside County, Inland Empire, and The Coachella Valley. 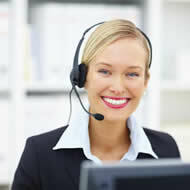 SCR features 24/7 phone and email support. Superior solutions are available 365 days a year. We offer free on-site estimates for all services required. [STEP 1] Receive a FREE quote! Our staff is prepared 24/7 to provide you with a free service quote and to answer all of your questions. No job is too big and no estimate is too small. Contact us today! [STEP 2] Book your service! 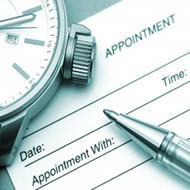 Once you've received a free estimate for services required you will be able to schedule an appointment. Please call today for Superior availability in your area. [STEP 3] Relieve Stress & Anxiety! After we have performed our service, all of your stress and anxiety will be relieved. Please feel free to leave us a friendly review of your Superior experience with us. [STEP 4] Refer your friends! We encourage all of our satisfied customers to refer our Superior service to their friends, family, and everyone else by sharing SCR via social media.